You have run into some fantastic videos when you are surfing on the YouTube web and want to replay them offline whenever you want. First of all, you need to download these YouTube videos and save them on your computer or hard disc. 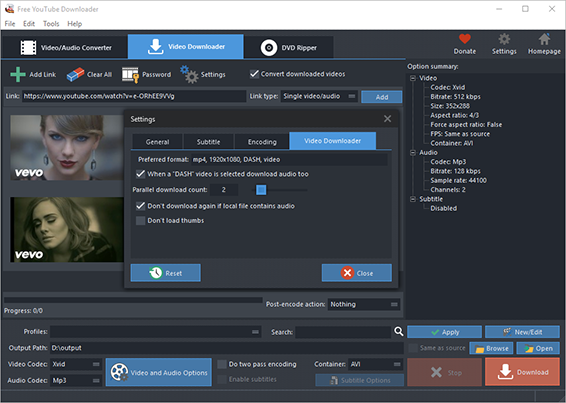 This thing is not a big deal with the help of Free YouTube Downloader which will download whatever videos you like on YouTube and all you have to do is to paste the URLs of the videos. 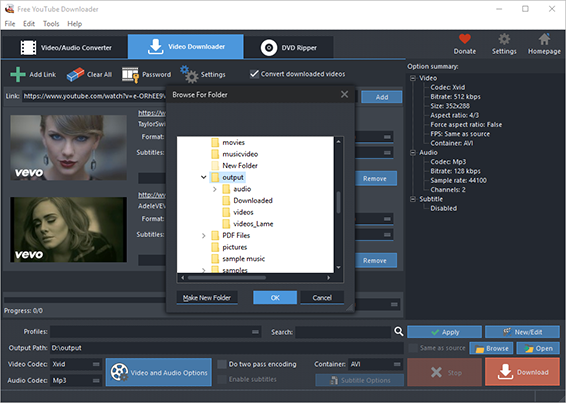 When the URL is added, you will see the links of all video formats from certain websites listed in the dropdown menu of “Format” along with the video thumbnail and details including resolution, codec, framerate, size, etc. Choose the format you prefer. 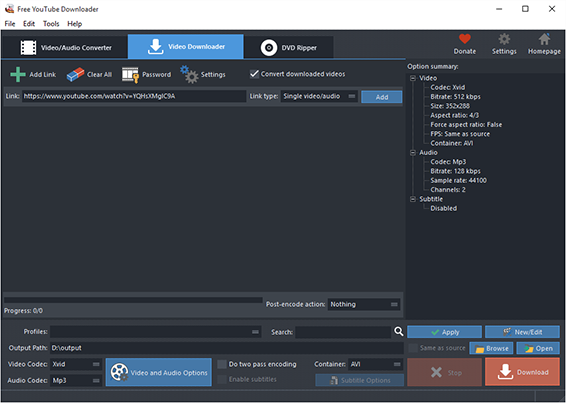 The built in previewer allows you to preview the video before download by clicking “Preview”. If you need to delete download tasks, click “Clear All”. 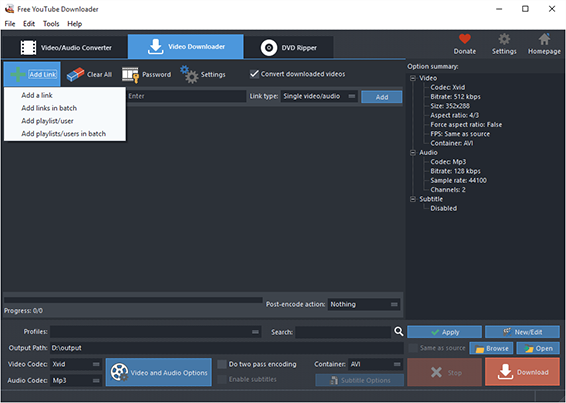 When all settings are ready, click “Download” to start video download. A progress bar and some details will be provided during the process. If you need to stop download, click “Stop”. To directly find the downloaded videos after download, click “Open”. To view the log report, click “Logs”.